The J/37 was originally conceived and designed to compete under any handicap rule that was popular in the 1980s and 1990s. 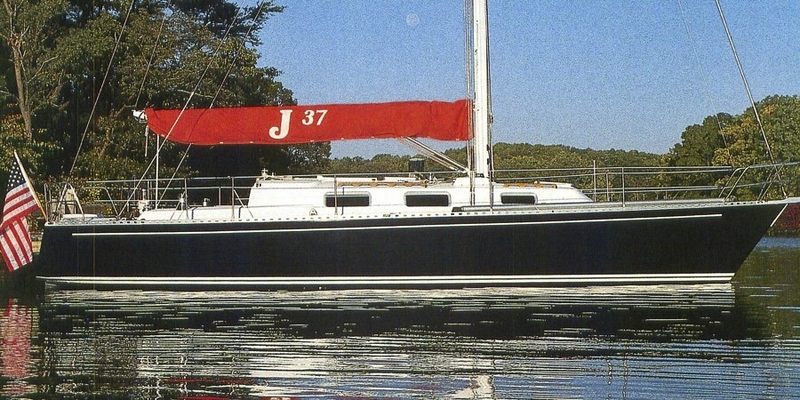 Since then the J/37 has enjoyed success racing under the PHRF handicap system. Several owners have also enhanced their J/37s for more comfortable cruising. Interior- The layout of the interior is simply luxurious. It is functional with a V-berth, walk-thru head forward, proper settee berths in the main salon aft of a centralized galley. The 28hp Volvo engine is located just under the companionway ladder with quarterberths to both port and starboard. Rig- The J/37 has a double spreader masthead aluminum rig with a high aspect mainsail and overlapping headsails. Running rigging is Navtec rod with open body Navtec turnbuckles. The spar package was built by Hall Spars of Bristol, RI.